Droid MAXX Press Render Leaked! Droid Ultra With Larger Battery? 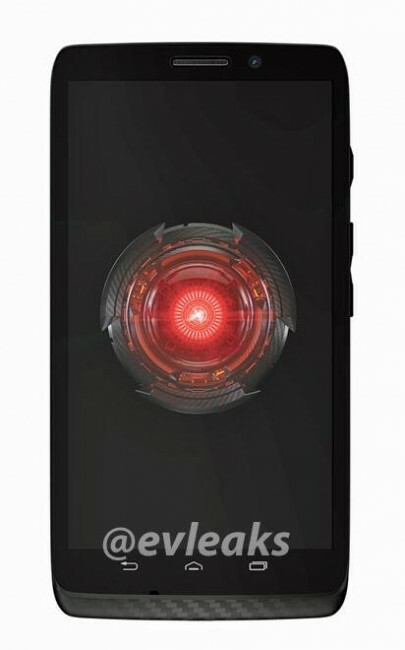 Evleaks has leaked this press render said to be the Droid MAXX which will be coming to a Verizon store near you very soon! This is expected to be the Droid Ultra with a larger battery. The Droid Eye is present. We also see the kevlar material on the bottom edge of the device. We can see a small front speaker,and a power switch and volume rocker are located on the right side of the device. The navigation buttons look identical to the software buttons on the RAZR HD however they appear to be sitting below the display making them look more like hardware buttons. I would absolutely prefer software nav buttons like the ones on the HD. This looks like a pretty solid device. What are your thoughts?